Modern medical research into the efficacy of Chinese Medicine for weight loss suggests that its approach can inhibit fat production, enhance intestinal peristalsis to increase stool clearance, improve blood circulation, and speed up the metabolism. 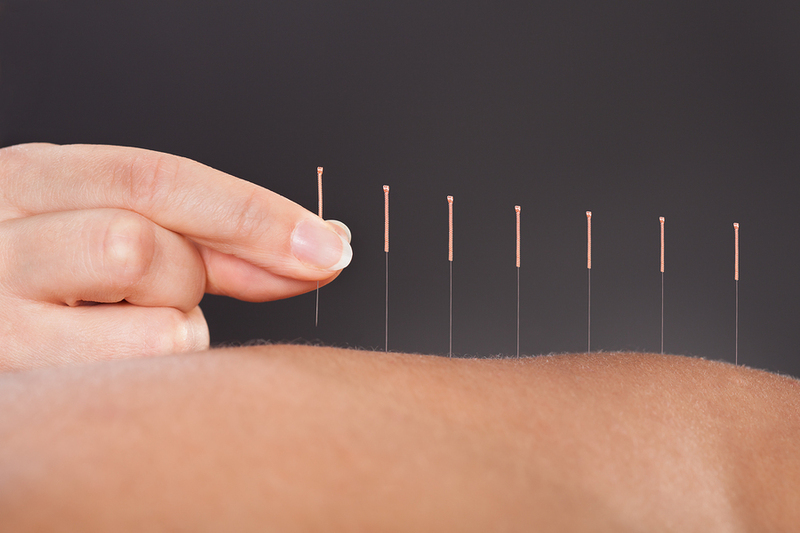 Acupuncture plays a key role in this, but here are five things you can do on your own to support your weight loss efforts. 1. Replace sweets and starches with bitter foodsBitter is one of the five flavors in Chinese Medicine (along with spicy/pungent, sweet, salty, and sour/astringent). It is thought of as the weight loss flavor because bitter tastes are difficult to overeat and help to purge the bowels, including flushing toxins. Bitter flavors also increase digestive enzyme secretion, which improves signaling of fullness cues. Examples of bitter foods include cucumber, bitter melon, asparagus, and some lettuces. 2. Seek to move Qi daily Qi is the lifeforce or energy that sustains all life in Chinese theory. But Qi can become stagnant or blocked in the body leading to ‘dampness’ (a pathogenic evil in Chinese Medicine thought to lead to excess fat). Therefore, it is important to move Qi to clear stagnation and support normal metabolic processes. Qi can be encouraged to flow freely with acupuncture, as well as with exercise (including Taichi, Qi Gong, yoga, and breath work), and with herbs and diet. Foods to that help move Qi include green tea, celery, Job’s Tears, and melon, pumpkin, and sunflower seeds. 3. Drink tea and herbal tea We already know that liquid calories, whether from juice, soda, or other sugary drinks should not be part of a weight loss plan, but Chinese Medicine takes it a step further, suggesting you replace those drinks with tea. Tea has been used for millenia in China to support fat loss and prevent stagnation of bowels, toxins, fat, and Qi. Pu-erh tea is the go-to drink in China after consuming a high-fat meal. Chinese herbs such as lotus leaf, cassia seeds, Chinese hawthorn, and Solomon’s-seal (Polygonatum odoratum) are traditionally used for weight loss. 4. Consume lots of water Classic dieters advice, this one holds true in Chinese Medicine as well. The traditional advice is to drink lots of warm water early in the morning as it helps to prime the system, flush the bowels, and reawaken the metabolic processes. Chinese Medicine cautions against drinking too much water with meals as it impairs digestion, which can lead to stagnation. 5. Use acupressure points on the ears to suppress hunger Located on the tiny triangle (or diamond) of cartilage that’s in front of the entrance to the ear canal are two powerful points for reducing appetite. Pinch that bit of cartilage intermittently for 30-90 seconds starting about 10-20 minutes before meals, or whenever you feel uncharacteristically hungry to prevent overeating. You can pinch either or both ears.